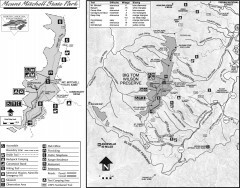 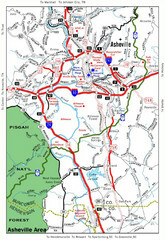 Panoramic map of the Black Mountain, NC and Swannanoa River Valley. 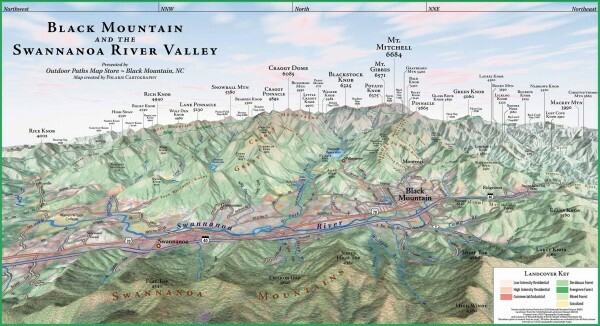 Shows all mountains with elevations and land cover shading. 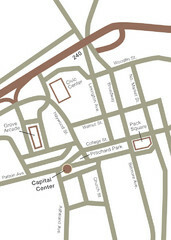 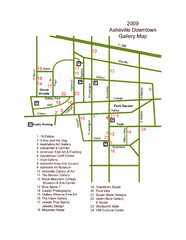 Numbered shopping map of Downtown Asheville.